As Britain's big freeze continues, politicians, transport bosses and meteorologists are wrestling with a big dilemma over how to keep people safely on the move. Some suggest we should get used to severe winter weather after a second bout this year and invest heavily in more robust transport options, while others say that is money badly spent. Car buyers are also struggling with the same question, with interest in 4x4s increasing over the last few weeks, but there can be big sacrifices to make on emissions, and therefore tax, fuel consumption and insurance costs for an occasional need. Thankfully, there is a sensible option that gives drivers enhanced driving ability in poor conditions and is affordable, economical and comfortable in every-day use. It is the Peugeot 3008 Crossover fitted with Peugeot's innovative Grip Control. Grip Control consists of an intelligent traction control system and special Mud & Snow 'All Weather' tyres, a compromise between full Winter Compound tyres and Summer Compound tyres. Grip Control automatically improves the vehicle's traction on difficult surfaces such as snow, mud, dirt tracks and wet grass. The system works with the vehicle's ESP (Electronic Stability Programme) to maintain the best possible traction from both front wheels. It has five selectable operating modes which can be chosen by the driver from a dedicated control mounted on the centre console. In Standard mode, the vehicle's ESP system is calibrated for typical grip levels found on normal road surfaces, where there are low levels of wheel slip. 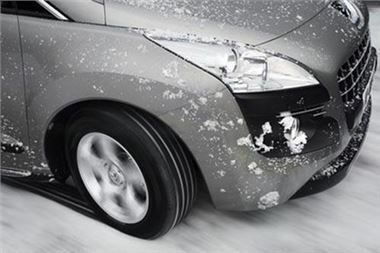 Snow mode adapts the system to gain the best traction from each of the front wheels when the car is pulling away. As the car increases speed, the system constantly tweaks the traction control to maintain acceleration in the face of variable grip conditions. The system returns to Standard once you are over 31 mph. All-terrain mode copes with mud, dirt tracks and wet grass by allowing a high level of slip on the least stable wheel when pulling away to remove excess mud and improve grip. At the same time, the wheel with the strongest grip level is given as much torque as possible. As the system is electronically controlled the torque offset between the front wheels can be as much as 100 %, well beyond normal limits for a limited slip differential. As the car gains speed, the system continually optimises wheel slip to give the driver the best possible control over the vehicle up to 50 mph. Sand mode allows slight wheel slip on both drive wheels simultaneously, to allow the vehicle to make headway and reduce the risk of getting stuck in the sand. Here again, the control provided by this mode is superior to that of a limited slip differential (LSD). In this mode, Standard mode kicks in automatically above a speed of 75 mph. There is also an ESP Off setting, which disconnects ESP and Grip Control up to 31 mph, giving full control to the driver. Above this speed, "ESP Standard" mode is selected automatically. Peugeot's Grip Control option also includes the standard fitment of 215/60 R16 Michelin Latitude Tour HP "Mud & Snow" tyres, which are suitable for off-road use. These tyres have special ‘StabiliGrip' blades within the tread pattern that can lock together to maintain good tread contact with the driven terrain, whatever challenges it poses. Grip Control gives the Peugeot 3008 Crossover a great all-round ability in snow, mud and sand, as well as providing excellent towing and carrying capabilities for outdoor activities in better weather, making it a genuine car for all seasons. And, when the weather changes the system has none of the disadvantages with regards to increased weight and emissions of a standard mechanical 4x4 system. Peugeot's Grip Control is available as standard on the Peugeot 3008 SR Crossover and as a £470.00 option on the Peugeot 3008 Sport and Exclusive HDi 112 & HDi 150 Crossover models.